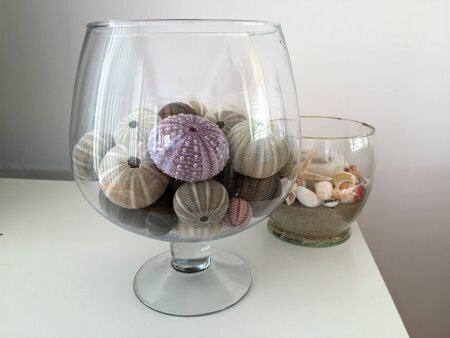 Here you can learn how to clean sea urchins and use them as décor in your home for a lovely beach side flavour. 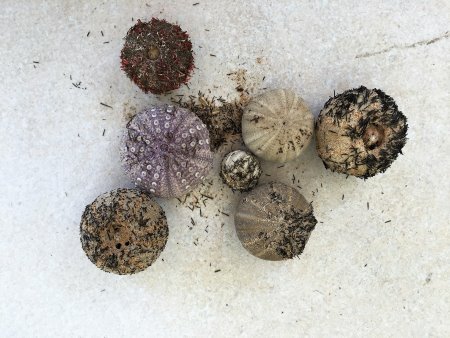 Sea urchins are found along some Phillip Island beaches. Usually they are found washed up along the high tide line among the tidal debris. 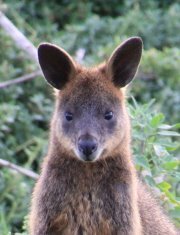 Make sure they are dead. This can usually be determined by the smell! Do not take live urchins. Sometimes they are still covered in spines but sometimes you can be lucky and the spines have been removed by nature, which saves you a tedious job! On Phillip Island’s beaches the sea urchins are mainly a dark greyish colour or a light green/creamy colour. Occasionally I have found beautiful purple shells. At home, if I am not going to clean them immediately, I leave them outside or in the garage to dry out more to help the cleaning process. Because of the smell you will want to keep them out of the house! 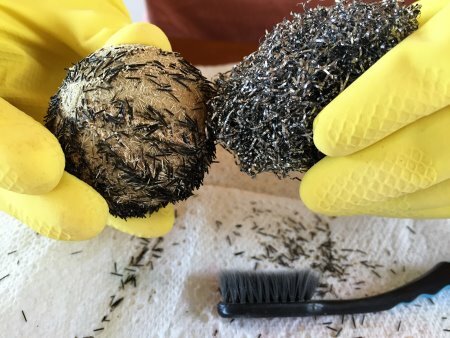 To clean a sea urchin, first remove the spines. I mostly do this just by rubbing my fingers over the urchin, or I use a skewer (my main sea urchin cleaning tool) for the more stubborn spines. If you like, wear rubber gloves. Other handy cleaning utensils are steel wool or even the back of an old toothbrush – whatever works for you. Remember the shells are very fragile so always handle them carefully. I often break some, maybe because they have tiny cracks not apparent at first. After removing the spines, remove the “beak”. I use a skewer for this, pressing gently around the beak to break it. 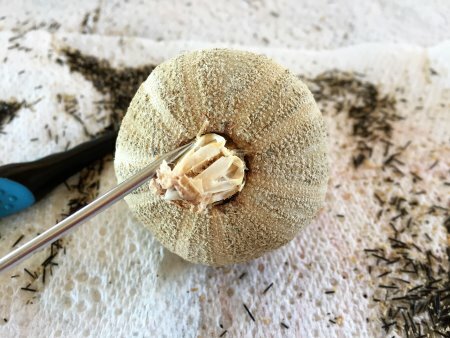 Once the beak is removed, with the skewer or tweezers, remove the dried meat from inside the sea urchin. If the beak has already fallen inside when you found the sea urchin, there will also be sand to be cleaned out. I also carefully remove the shell to make a hole at the opposite end to the beak. When the sea urchin is as clean as you can get it, soak it in hot water for at least a day. The water doesn’t need to be kept hot, just pour hot water over for starters. This will soften any flesh left inside. Once again, remove it with your skewer or tweezers until the sea urchin is clean inside. Rinse under running water. Make a solution of 3 parts water to 1 part bleach. When handling bleach, work in an airy area as bleach is a strong smelling product and you do not want to breathe in too much. 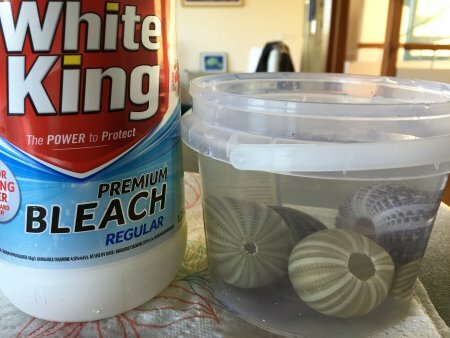 Leave the sea urchin shell in the bleach solution for about ½ an hour. Don’t leave for longer as the shell can become weakened. After bleaching, rinse completely under running cold water. I prefer to dry my sea urchins in the shade as I find the strong Australian sun can fade the colour somewhat. 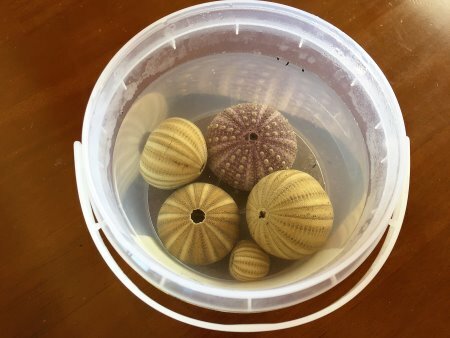 If you want to preserve and strengthen your sea urchins, prepare a solution of 1 part water and 1 part Elmers craft glue (available at Spotlight in Australia). 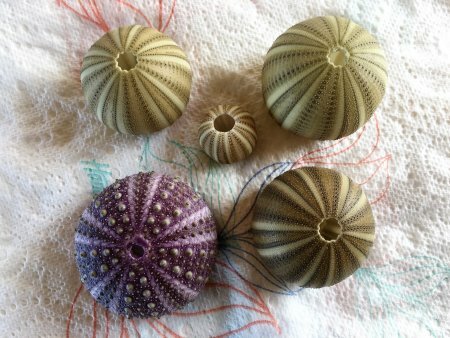 Either paint or dip your urchins in the mix then leave to dry on waxed paper – about 10 minutes. 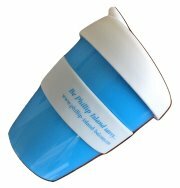 Then decorate your home with a seaside flavour!